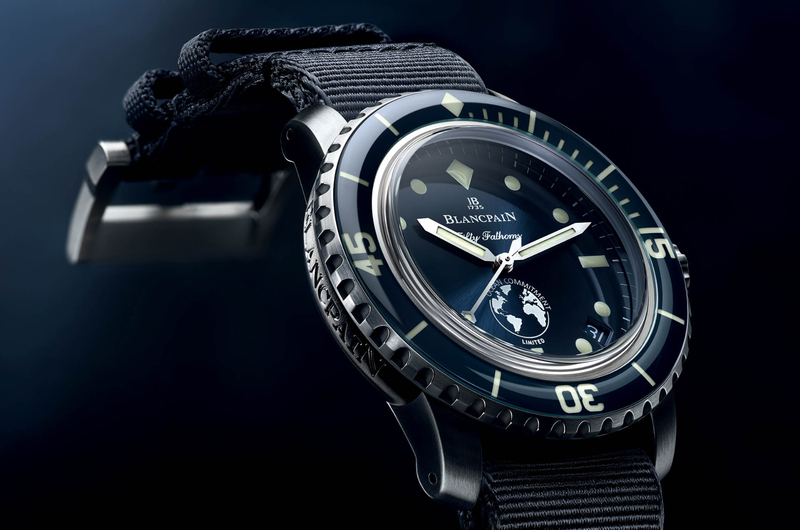 This past Friday, June 8th, in conjunction with World Oceans Day, Blancpain introduced their third iteration of the Blancpain Ocean Commitment. The watch is a special edition, with a portion of the proceeds going to support the preservation of the world’s oceans, something that’s clearly a major issue. You can read about the past two special editions here and here. It’s worth noting that while the first two editions featured flyback chronographs, this is more of a true diver, as it should be. The case, which’s in stainless steel, is also smaller at 40.30 mm x 13.23 mm, which are the same dimensions as the Mil-Spec Tribute watch Blancpain introduced last year. The movement, caliber 1151 is also the same, featuring 210 components including 28 jewels, a silicon balance spring, and two series-coupled mainspring barrels good for four days of power reserve (96-hours). 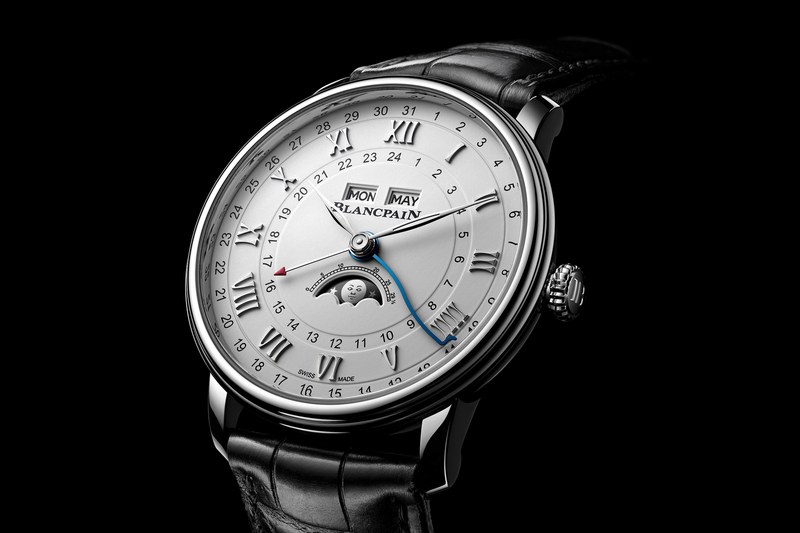 The movement measures 27.40 mm x 3.25 mm. The rotor of the automatic Caliber 1151 is made of gold and coated with a platinum-based NAC finish. The bezel is made of sapphire crystal, and aptly, like the dial comes in a deep ocean blue color. Limited to 250 pieces worldwide, each individually numbered, the Blancpain Ocean Commitment III comes with a maritime-inspired sail-canvas strap along with an additional blue NATO strap. 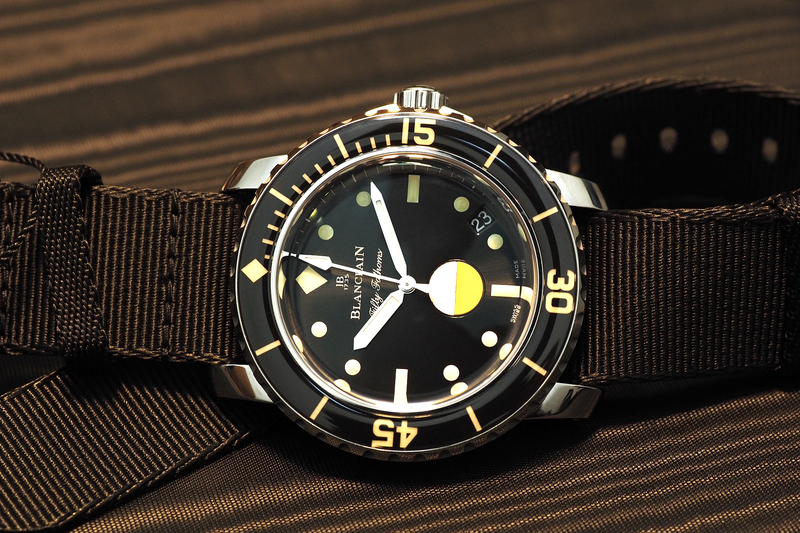 Additionally, each watch will come with a hand-numbered copy of the 10th-anniversary Edition Fifty Fathoms book that matches the number of the watch, and a membership in the Blancpain Ocean Commitment Circle. 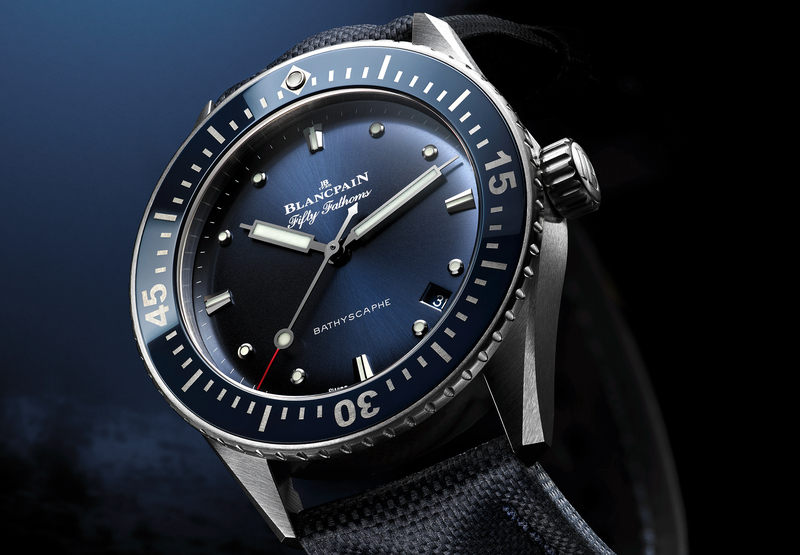 The retail price is $17,100 and Blancpain will donate 1,000 euros from each watch sale to help fund causes that protect the world’s oceans.